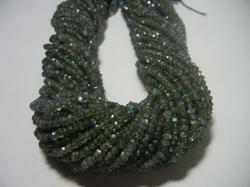 We present an extensive range of apatite faceted beads for our customers. These Apatite Faceted Beads are beautifully crafted by our skilled and experienced cutters.Our products are available at very reasonable prices. We are manufacture of all precious and semi precious beads. We can provide all stone beads. We can provide all size in beads of precious and semi precious stone. We hope to provide you good quality in cheap price. We can make any size in this material. Our firm has come up with an exclusive and vibrant collection of Ruby Faceted Beads. The offered range of beads is widely used for making necklaces because of fine facets, superior finish and perfect shapes. 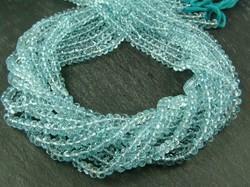 These seven strand beads weighs about 700 to 800 cts and can be availed in varied sizes starting from size 3mm to 10 mm. We are manufacturer and supplier of Peridot Cut Onion Shape Beads for designer Jewellery.Using latest designing technology in the manufacturing process, we aim to design these products as per the variegated demands of customers.